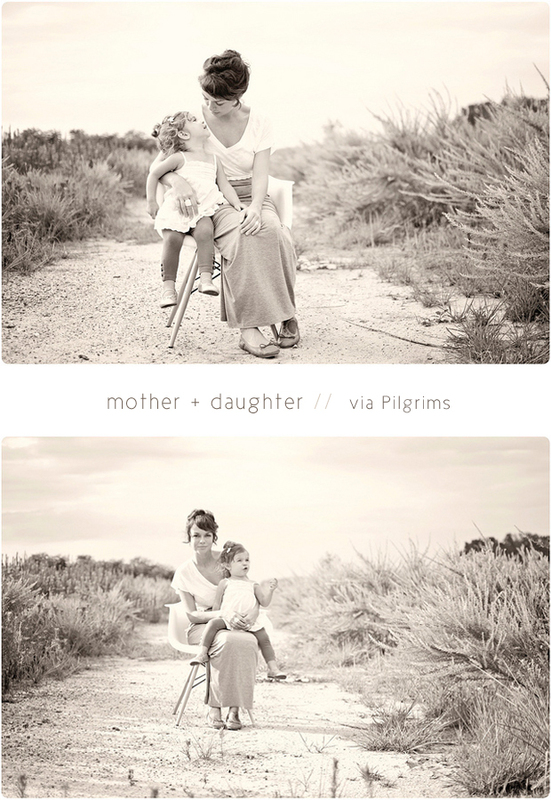 I had to share these amazing mother + daughter shots of Paige and her little girl from Pilgrims. Her photos are always breathtaking and she makes gorgeous handmade totes. This weekend, J and I are heading back to Florida for moving trip #2. Flying in and driving back in a good ol' U-haul (with a boat on the hitch...should be interesting). Luckily though, I'll get to see my family. It's been less than a month since I've been in VA, but I miss my momma.